Located in Pandora, Napier , the Fletcher steel building has long been a favorite of mine. Depicted here in its vacant appearance during 2009. NOTE: The track level is designed to be 0.3m higher than the building itself, as per the prototype. TRS2009 and up. A typical NZR 3'6" gauge track with 91lb rail. Made up from 4 separate meshes chosen at random with full LOD and end caps. 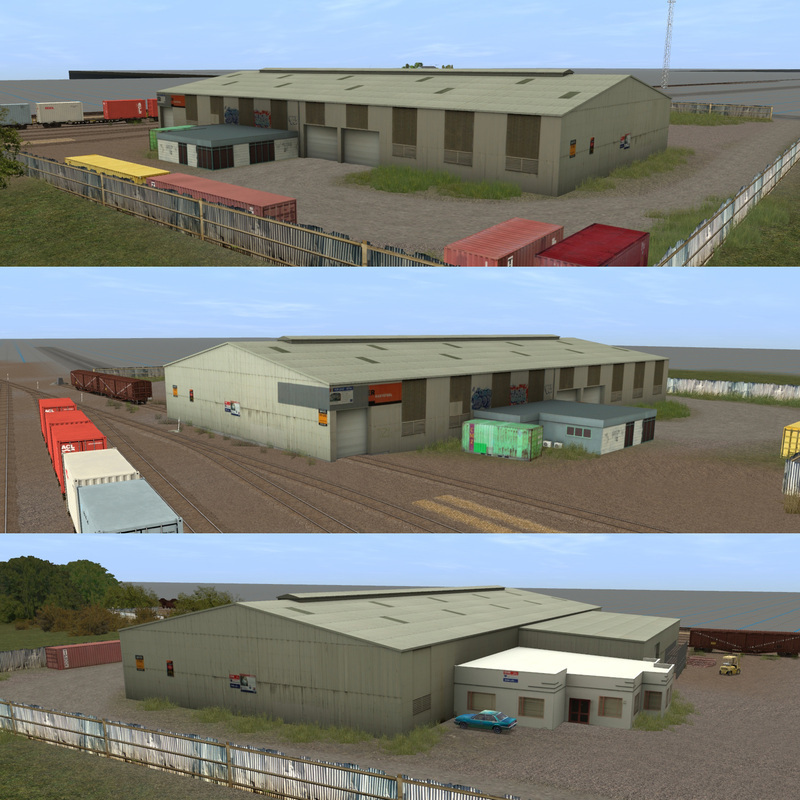 Also up for download is the matching hi-res texture NZR Ballast 01. TRS2009 and up.